This #1 New York Times bestseller is an inspiring and motivating guide to help you uncover your God-given strengths and live with more joy, hope, and peace every day. 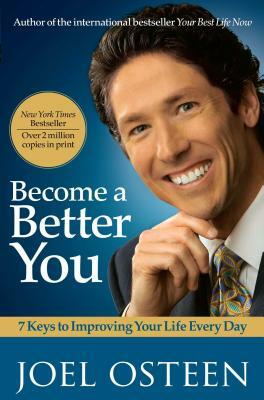 Joel Osteen, pastor of America’s largest church, has inspired millions to live to their fullest potential. His practical insights in Become a Better You have helped people look within themselves to find their authentic soul and become a better person. In Become a Better You Osteen offers seven simple yet profound steps to help you discover your purpose and destiny, and includes key biblical principles, devotions, and personal testimonies that will uplift and enlighten. As you incorporate these key principles into your life, you will be amazed by how much more God has in store for you. Become a Better You encourages you to reach your full, unique, God-given potential and helps you enjoy every day of life, no matter your circumstances.